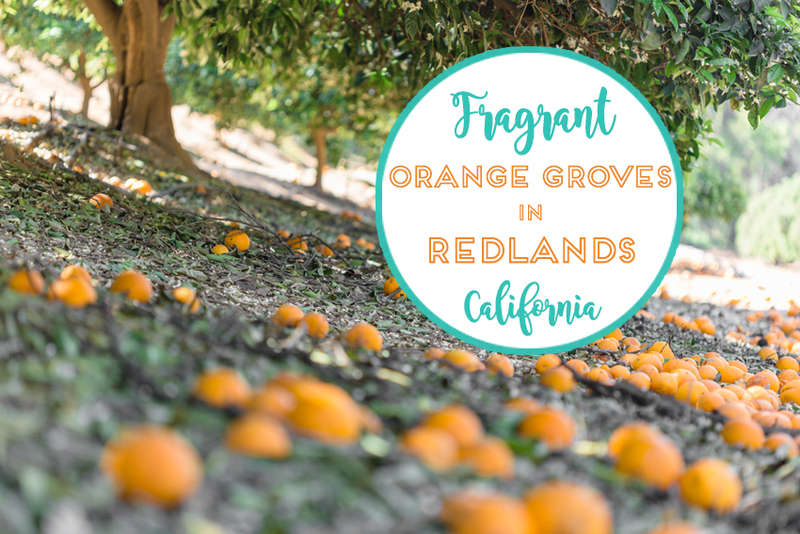 Tales of fragrant citrus orchards have drawn me to citrus towns around the world such as Sorrento, Italy and Mallorca, Spain but it was in my home state of California that the city of Redlands delivered on the promise. 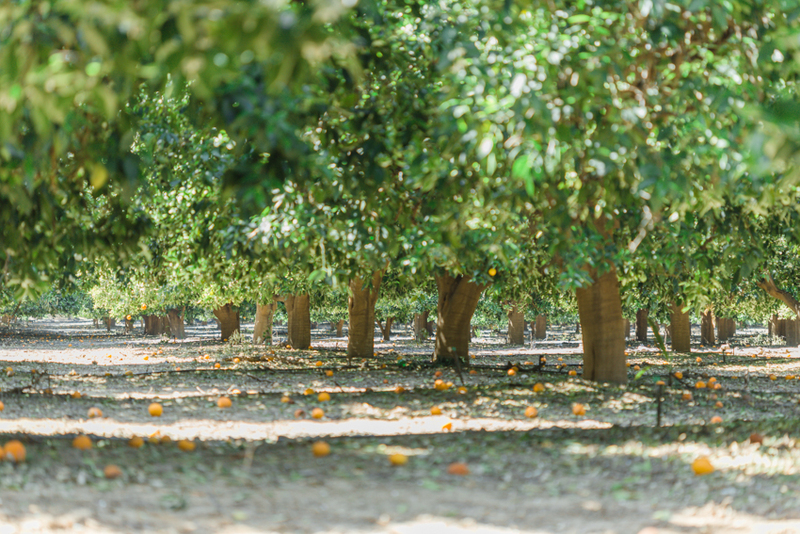 Did you know that the city of Redlands was once the hub of the largest orange-producing region in the world with over 15,000 acres of citrus groves? 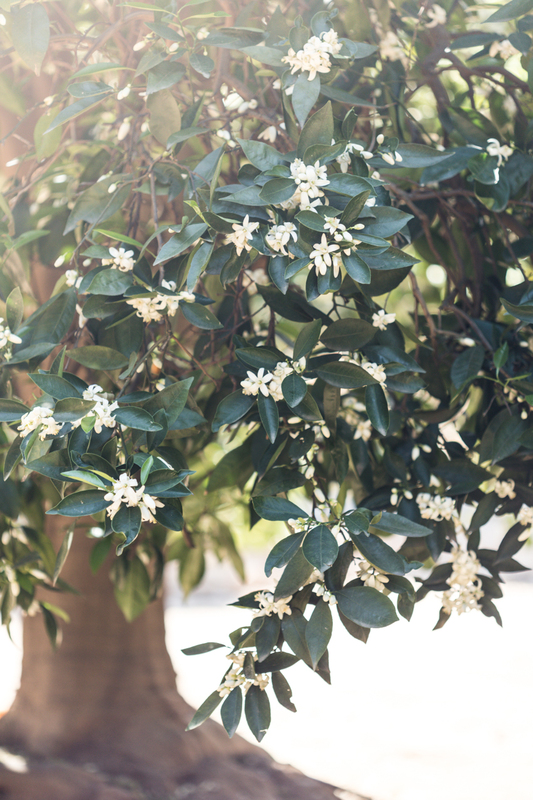 Upon stepping out of my car in ‘Early Redlands Historic District’ along Cajon Street, I couldn’t see the orchards but their blossoms were remarkably fragrant. It was late March and seemed as though mother nature was ringing her bell to announce the citrus season. Making my way up Cajon Street I came upon one of the city’s oldest groves, Prospect Park. Some trees here are over 120 years old and oddly enough, the grove is located in a residential neighborhood. 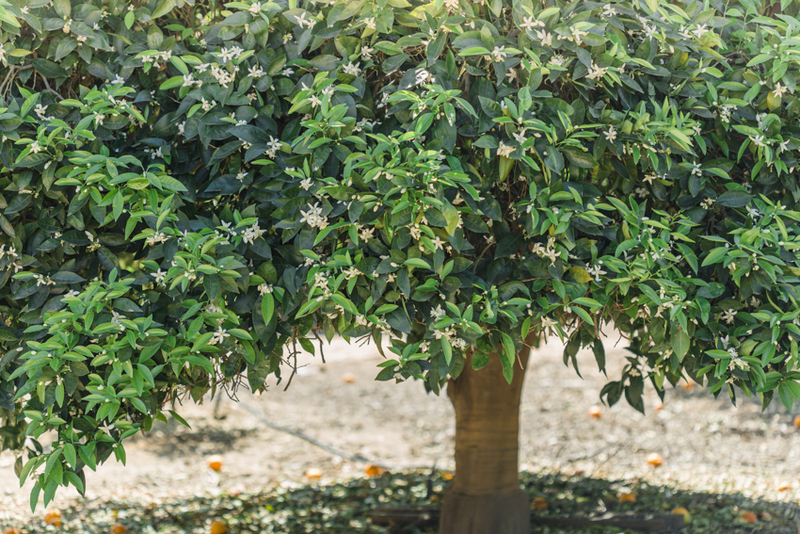 The orange trees were in full bloom with hearty, white blossoms sprinkled among the dense leaves. If you stood still you could see the many bees and butterflies beckoned by the sweet flowers. 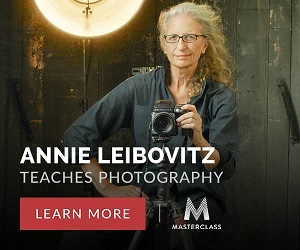 Nearby I saw a grapefruit tree with it’s branches weighed down by jumbo-sized white blossoms and grapefruits weighing nearly two pounds—that’s huge! 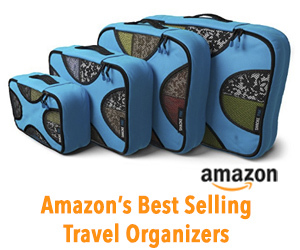 A nearby resident of almost 50 years tells me she loves living close to all the citrus. 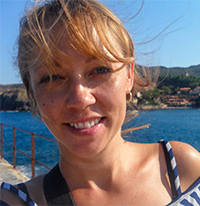 One of her earliest memories was when she first moved here and there were five weeks of the wonderful scent of citrus blossoms in the air all day, every day. 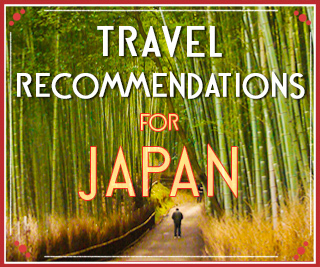 She mentioned that this year the blossoms are particularly effusive, and as fruit has begun to grow the fallen petals look like snow on the ground. No visit to Redlands would be complete without a quick stop at the market for a couple bottles of local orange juice. Never has there been a more brilliant fresh OJ! Why Redlands orange juice is not world-famous, I have no idea. It should be. 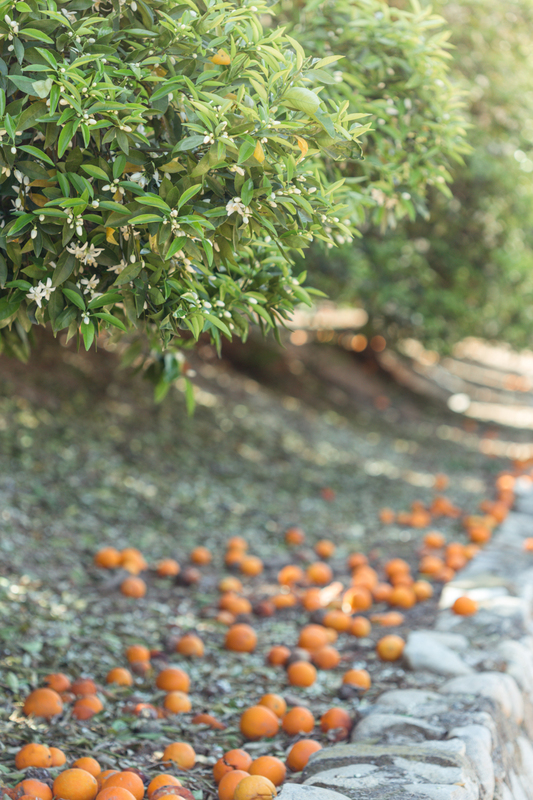 The orange grove at Prospect Park is frequented by locals on morning walks. 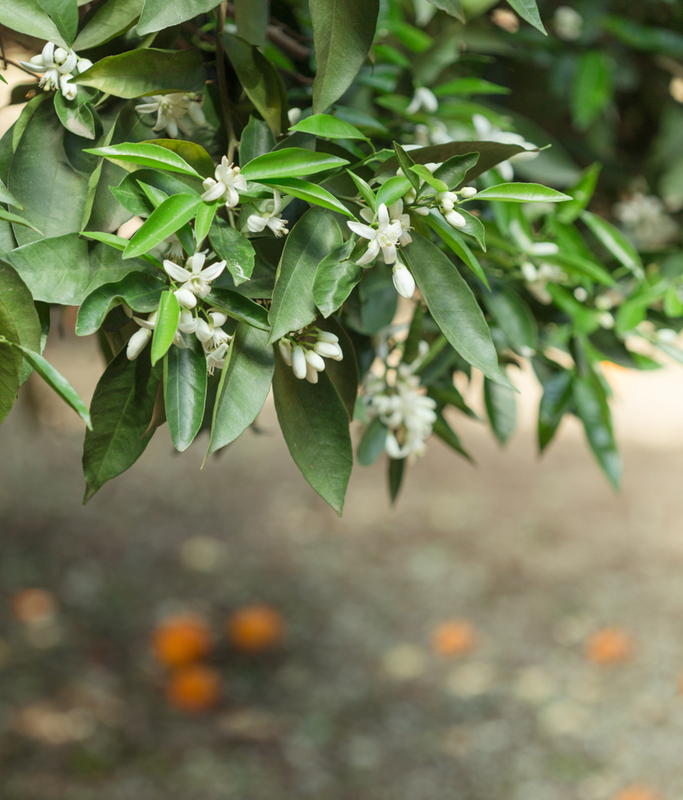 Orange blossoms abound at the beginning of the citrus season. 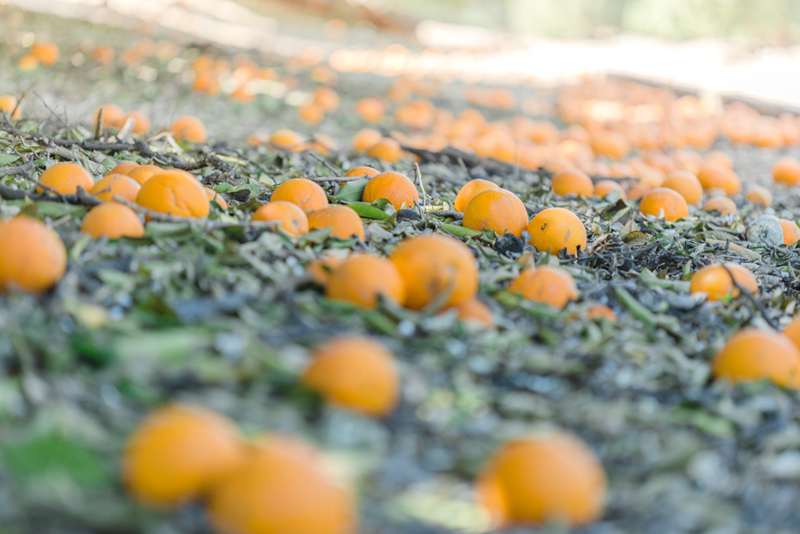 Fallen citrus fruits becoming one with the earth again. 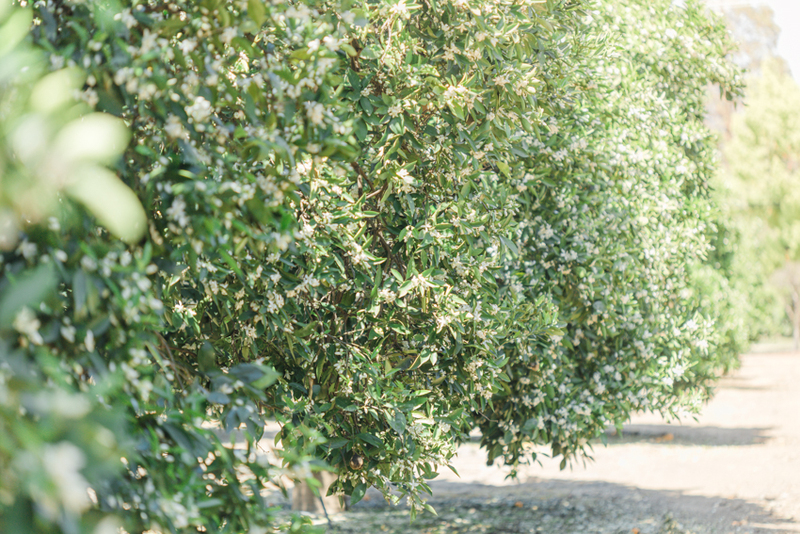 Professional photographers often visit orange groves in Redlands for family portrait sessions. The deep green and hearty leaves are an indication of some of the older trees at Prospect Park, such as this one. 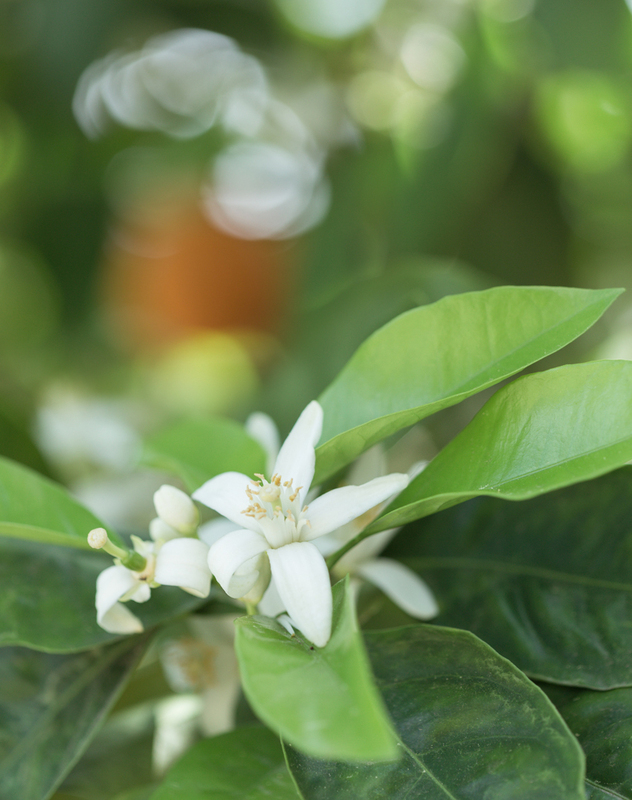 Sweet orange blossoms beckon to be pollinated. 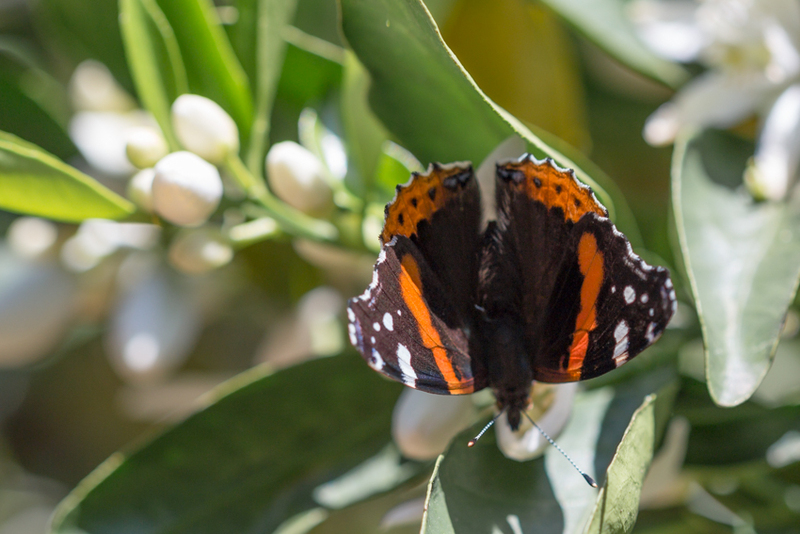 Butterflies and bees are busy among the citrus trees, like this Red Admiral butterfly. 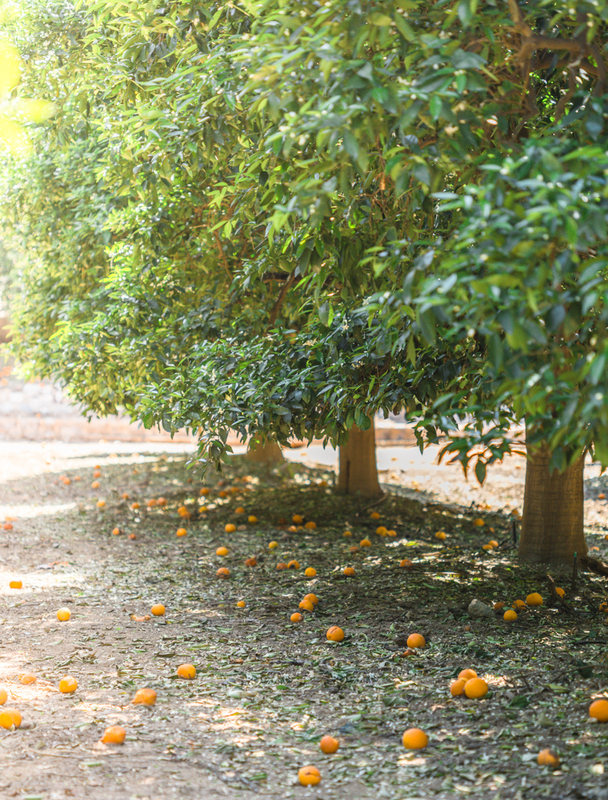 Thank you for visiting TrySomethingFun, and thank you to my best friend for taking me to see the orange groves in Redlands. 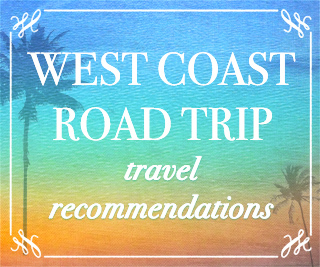 Do check out my other travel recommendations in California, you might find some place cool that you’d like to visit!